July 2, 2010, 10 a.m.
By Mark Coddington @markcoddington July 2, 2010, 10 a.m.
Finding a place for a new breed of journalist: Laura touched on the resignation of Washington Post reporter Dave Weigel in last week’s review, and several of the questions she raised were ones people have been batting around in the week since then. Here’s what happened (and for those of you looking for a more narrative version, Jay Rosen has you covered via audio): Weigel, who writes a blog for the Post on the conservative movement, wrote a few emails on an off-the-record journalists’ listserv called Journolist bashing a few members of that movement (most notably Matt Drudge and Ron Paul). Those emails were leaked, the conservative blogosphere went nuts, and Weigel apologized, then resigned from the Post the next day. Journolist founder Ezra Klein shut the listserv down, and Weigel was apologetic in his own postmortem of the situation, attributing his comments to hubris toward conservatives designed to get other journalists to like him. This was The Flap That Launched A Thousand Blog Posts, so I’ll be sticking to the journalistic angles that came up, rather than the political ones. A lot of those issues seemed to come back to two posts by the Atlantic’s Jeffrey Goldberg that included attacks on Weigel by anonymous Post staffers, the tone of which is best summed up by Goldberg’s own words: “The sad truth is that the Washington Post, in its general desperation for page views, now hires people who came up in journalism without much adult supervision, and without the proper amount of toilet-training.” (Goldberg did quickly back down a bit.) Fellow Post blogger Greg Sargent defended Weigel (and Klein, a young Post blogger who’s an outspoken liberal) by arguing that just because they express opinions doesn’t make them any less of a reporter. New media guru Jeff Jarvis decried the “myth of the opinionless man” that Weigel was bound to, and Salon’s Ned Resnikoff called for the end of neutral reporting, urging journalists to simply disclose their biases to the public instead. Several other observers posited that many of the problems with this situation stemmed from a false dichotomy between “reporting” and “opinion.” That compartmentalization was best expressed by Post ombudsman Andrew Alexander, who asked of the Post’s bloggers, “Are they neutral reporters or ideologues?” (He proposed that the Post have one of each cover conservatives.) The Atlantic’s Conor Friedersdorf said the Post is imposing binary categories on its reporters that don’t fit real life, when the two in fact aren’t mutually exclusive. Blogging historian and former Salon editor Scott Rosenberg made a similar point, suggesting Post “simply lets them be bloggers — writers with a point of view that emerges, post by post.” The New Republic’s Jonathan Chait pointed out that the Post has created a type of writer that it doesn’t know what to do with, while Jim Henley offered a helpful definition of the “blog-reporter ethos” that those writers embody. Finally, a few other points well worth pondering: Nate Silver, whose opinionated political blog FiveThirtyEight just got picked up by The New York Times, marveled at how much more outrageous the response seemed to be than the comments themselves and wondered if even opinions expressed in private are now considered enough to disqualify a reporter. 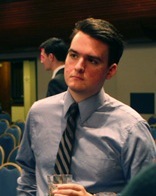 John McQuaid saw the episode as evidence that journalism traditionalists and the “view from nowhere” political press still rule in Washington, and the Columbia Journalism Review’s Greg Marx saw in the conflict a backlash against a new generation of journalists who emphasize personal voice, as well as “an opportunity to establish a new set of journalistic values” — fair-mindedness and intellectual honesty backed by serious reporting, rather than a veneer of impartiality. Google News gets a makeover: For the first time since it was launched in 2002, Google News got a significant redesign this week. Now, a little ways down from the top of the page is what Google called “the new heart of the homepage” — a personalized “News for you” section. That area can be adjusted to highlight or hide subjects, individual news topics, or certain news sources. The redesign is also emphasizing its Spotlight section of in-depth stories, as well as user-bookmarked stories. Search Engine Land has a nice visual overview of what’s changed. The Lab’s Megan Garber also has a helpful summary of the changes, noting that “the new site is trying to balance two major, and often conflicting, goals of news consumption: personalization and serendipity.” All Things Digital’s Peter Kafka wondered how many people are actually going to take the time to customize their page, under the idea that anybody news-savvy enough to do so is probably getting their news through a more comprehensive source like RSS or Twitter. Jay Rosen wanted to know what news sources people choose to see less of. Meanwhile, in an interview with MediaBistro, Google News lead engineer Krishna Bharat gave a good picture of where Google News has been and where it’s heading. And it’s worth noting that the comments we’ve gotten on the change have been wildly negative. The Washington Post’s Greg Sargent detailed the planned suit, including a clear accusation from Kos’ lawyer that the polls were fraudulent, not just sloppy: “They handed us fiction and told us it was fact. … It’s pretty damn clear that numbers were fabricated, and that the polling that we paid for was not performed.” Research 2000 president Del Ali asserted the properness of his polls, and his lawyer called the fraud allegation “absurd” and threatened to countersue. Polling expert Nate Silver of FiveThirtyEight, who began his blog as a Kos commenter, echoed the study’s concerns, then was hit with a cease-and-desist letter from Research 2000’s attorney. Meanwhile, Yahoo’s John Cook laid out Research 2000’s troubled financial history. This may seem like just a messy he-said, she-said lawsuit involving two individual organizations, but as Sargent and The New York Times pointed out, Research 2000’s work is cited by a number of mainstream news organizations (including the Post), and this could cause people to begin asking serious questions about the reliability of polling data. As trust in journalistic institutions wanes, the para-journalistic institution of polling may be about to take a big credibility hit here, too. The New Yorker’s Amy Davidson backed Taibbi up, but DailyFinance’s Jeff Bercovici rapped Taibbi’s knuckles for his disregard for the facts. Military and media blogger Jamie McIntyre found a spot in between Logan and Taibbi in ruling on their claims point by point. Politico takes a look at the entire discussion, paying special attention to how relationships work for other military reporters and what this flap might mean for them in the future. On another angle, the Lab’s Jason Fry used the story to examine whether the fragmentation of content is going to end up killing some news brands. — A newly released Harvard study found that newspapers overwhelmingly referred to waterboarding as torture until the George W. Bush administration began defining it as something other than torture, at which point their description of it became much less harsh. (They still largely described it as torture when other countries were doing it, though.) The study prompted quite a bit of anger about the American media’s “craven cowardice” and subservience to government, as well as its unwillingness to “express opinion” by calling a spade a spade. James Joyner noted that it’s complicated and The New York Times said that calling it torture was taking sides, though the Washington Post’s Greg Sargent said not calling it torture is taking a side, too. — I was gone last week, so I didn’t get a chance to highlight this thoughtful post by the Atlantic’s Conor Friedersdorf on what it takes to replace the local beat reporter. As for the newspaper itself, the folks at Reason gave you a section-by-section guide to replacing your daily newspaper. — Finally, in the you-must-bookmark-this category: Former New York Times reporter Jennifer 8. Lee put together an indispensable glossary of tech terms for journalists. Whether you’re working on the web or not, I’d advise reading it and digging deeper into any of the terms you still don’t quite understand. POSTED July 2, 2010, 10 a.m.
Coddington, Mark. "This Week in Review: Weigel and new journalism values, Google News gets personal, and Kos’ poll problem." Nieman Journalism Lab. Nieman Foundation for Journalism at Harvard, 2 Jul. 2010. Web. 19 Apr. 2019. Coddington, Mark. "This Week in Review: Weigel and new journalism values, Google News gets personal, and Kos’ poll problem." Nieman Journalism Lab. Last modified July 2, 2010. Accessed April 19, 2019. https://www.niemanlab.org/2010/07/this-week-in-review-weigel-and-new-journalism-values-google-news-gets-personal-and-kos-poll-problem/.